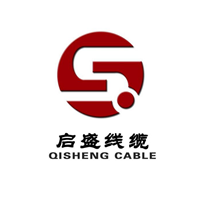 Product categories of Low Smoke Halogen Free Cable, we are specialized manufacturers from China, Low Smoke Halogen Free Cable, Low Smoke Cable suppliers/factory, wholesale high-quality products of Halogen Free Cable R & D and manufacturing, we have the perfect after-sales service and technical support. Look forward to your cooperation! Low-smoke, halogen-free cable is an environmentally friendly cable that is halogen-free (F, chlorine, bromine, I, At), contains no environmental substances such as lead, cadmium, chromium, mercury, etc., and does not emit toxic fumes when burned.